Atlanta, GA (PRWEB) December 31, 2009 -- Advanced Productivity Software Inc. (APS), the leader in distributed time entry software, announced that DTE Axiom was once again awarded the Bronze Medal in 7th Annual Legal Technology News Awards. In 2009, the editors of Law Technology News asked the publication’s more than 40,000 subscribers to identify products and vendors that represented outstanding achievement in legal technology in 25 categories for its seventh annual awards program. DTE Axiom was selected for the Bronze Medal in the area of “Time and Billing for Large Firms” category. Developed to provide unprecedented performance, connectivity and functionality, DTE Axiom offers a radical step forward in time entry software, especially for today’s increasingly globally-oriented law firms. DTE Axiom is a completely new, non-browser based internet application. Utilizing patent pending architecture, DTE Axiom runs over existing IIS and SQL server infrastructure affording unparalleled speed, security, usability, deployment, data consolidation, and continuity. The awards, selected based on subscriber online voting, will be presented at LegalTech New York on February 1, 2010. Information on the awards and winners will be featured in the March 2010 issue of Law Technology News and on the magazine’s Web site at www.lawtechnologynews.com. "It's a great credit to the innovation of and dedication of our team just to be nominated for the award,” said Product Manager Devin GawneMark. “But it is a real honor for the law firm community to once again offer DTE Axiom this recognition." For more information about DTE Axiom, please visit www.aps-soft.com or call Advanced Productivity Software at 800-783-9231. DTE Axiom is a registered trademark of Advanced Productivity Software, Inc.
About Advanced Productivity Software, Inc. Since 1990, Atlanta-based Advanced Productivity Software has provided scalable, reliable time tracking and cost recovery software that makes it easier to capture more time accurately, enabling law firms to quickly track and access activity that improves the firm’s bottom line. Used by more than 50 percent of the AmLaw 100 firms worldwide, Advanced Productivity Software offers three time management and usage tracking solutions: DTE Axiom, RollCall and LookUp Precision. For more information on Advanced Productivity Software and its solutions, please call 800-783-9231 or visit www.aps-soft.com. Law Technology News provides timely information and insight into the latest technologies, products and services available for the legal marketplace. Each month, the award-winning magazine features new product announcements, as well as monthly articles and columns written by industry experts and senior law firm decision makers. LTN is distributed to more than 40,000 selected subscribers and is also available on the Web at www.lawtechnologynews.com. The magazine is published by ALM, a leading provider of specialized business news and information, focused primarily on the legal and commercial real estate sectors. Clearly, the appropriate procedure is to disqualify the MCAO from any further prosecution and allow the federal complaint and Maricopa County complaint to run their legal course. This would ensure the reinstatement of the public's trust in our judiciary and Arizona criminal justice system. Phoenix, AZ (Lexis Nexis/PRWEB ) December 31, 2009 -- In motions filed this month with the Superior Court of the State of Arizona, attorneys from the Phoenix-based law firm Alex & Gaxiola moved to disqualify the Maricopa County Attorney's Office (MCAO) from prosecuting multiple clients facing criminal charges in Phoenix. In the firm's case, State of Arizona v. Robert Eugene Cole (Case No. CR2009-006715-001 DT) and in other cases involving similar issues, highly regarded Phoenix attorney Richard Gaxiola filed defense motions last week to disqualify the MCAO on the grounds that the MCAO's recent pursuit of criminal charges against several active and retired Maricopa County Superior Court judges created a prosecutorial conflict of interest. Earlier this month, prosecutors working for Maricopa County Attorney Andrew Thomas charged the county's presiding criminal court judge, Gary Donahoe, with three felonies, including bribery. The MCAO has also alleged violations of the RICO Act by current and former county judges they claim are part of a "criminal enterprise." Meanwhile, deputies working for controversial Maricopa County Sheriff Joe Arpaio - a well-known ally of Thomas - visited the homes of several members of the court staff in what the employees perceived as an attempt at intimidation. "It appears that there is no end to the MCAO's intent on bringing public distrust against our judiciary," said Gaxiola, whose firm handles a wide range of litigation in Arizona. "Clearly, the appropriate procedure is to disqualify the MCAO from any further prosecution and allow the federal complaint and Maricopa County complaint to run their legal course. This would ensure the reinstatement of the public's trust in our judiciary and Arizona criminal justice system." A flurry of recent legal activity from the defense bar led Arizona Supreme Court Chief Justice Rebecca White Berch to issue Administrative Order 2009-124 on December 23rd, a unique order that appointed retired Arizona Chief Justice Ruth V. McGregor as a Special Master to oversee the administration of all matters arising from the MCAO controversy, including the motions to disqualify that have been filed by Gaxiola and other defense attorneys. For more information about Alex & Gaxiola, please go to www.alexandgaxiola.com or call 602.971.1775. Priority Conferencing, one of the leading players in the audio conferencing space has signed a strategic alliance with top Internet marketing and consulting services provider Uniseo. (PRWEB) December 31, 2009 -- Priority Conferencing, one of the leading players in the audio conferencing space, has announced that it has signed a strategic alliance with top Internet marketing services provider Uniseo to further its reach in the business-to-business audio conferencing industry. Priority Conferencing (www.priorityconferencing.com), a conference call provider that began operations in 2004, has grown to become a competitive force in the industry. Uniseo (www.uniseo.com) is a leading strategic Internet marketing company that provides professional ROI-based Internet consulting, training, and marketing services. In the current economy, the survival of many companies will depend on their Internet-based innovations. Maintaining an effective online presence continues to play an important role for Priority Conferencing. After several months of searching and negotiations, the partnership seemed ideally suited for both companies. "We dedicated significant resources to find the ideal company to examine our marketing strategies," says Dan Alper, Executive Vice President of Priority Conferencing. "We're selective when it comes to choosing partners and we believe that this agreement will enhance our online presence and help to solidify our position as one of the top players in the conferencing industry." "Priority Conferencing is a popular brand name in the conferencing industry and we're elated to have been selected as their partner," says Brian Rotsztein, CEO of Uniseo. "Marketing in the business to business environment is never easy, especially given that the Internet is more complex than ever. This presents a challenge that we're ready for." The conference call industry continues to flourish, especially since the costs associated with corporate travel continue to rise. Keeping up with the rapid pace of technological advances is now firmly established as a very important part of modern business life. Priority Conferencing provides companies with a cost-effective means of communication between individuals and businesses in multiple locations. Uniseo is one of the longest running Internet marketing service providers. The company was the first of its kind to offer comprehensive SEO training (www.uniseo.com/seo-training.htm) and consulting (www.uniseo.com/seo-consulting.htm) services on an international basis. Clearwater, FL (PRWEB) December 31, 2009 -- Clearwater accident lawyer Morgan Gaynor of Mark Roman Law is named to one of the most prestigious groups of trial lawyers in the United States, The Million Dollar Advocates Forum. Less than 1% of all U.S. lawyers are members. Membership to The Million Dollar Advocates Forum is limited to attorneys who have won million and multi-million dollar verdicts and settlements. The quality of this membership is very impressive and includes many of the top trial lawyers in the country. Many of the members have achieved numerous million and multi-million dollar results (several members have won billion dollar cases). The certification and membership of Clearwater accident lawyer Morgan Gaynor of the Mark Roman Law Group to the Million Dollar Advocates Forum provides recognition of his remarkable ability to demonstrate in an objective and tangible way, his extraordinary skill at accomplishing superior results in complex personal injury cases. Morgan is a Board Certified Civil Trial Lawyer specializing in personal injury litigation resulting from car accidents, construction accidents, falls, and other accidents involving injury. Morgan Gaynor's Clearwater accident law practice areas include most areas of personal injury litigation, including: major personal injury, serious car accidents, construction accidents, falls, boating accidents, work injuries and all insurance litigation. For more information on Morgan Gaynor and the Mark Roman Law Group in Clearwater, visit online at www.markromanlaw.com/about-the-firm.php. For more information on The Million Dollar Advocates Forum visit them online at www.milliondollaradvocates.com. John Skiba Reports that, "As Bankruptcy Rates in Phoenix Continue to Rise, Arizona Now Has Third Highest Credit Card Delinquency Rates"
Unfortunately, there are motorists who take the risk of driving uninsured and even less fortunate are the individuals who are involved in collisions with these drivers; protection may be available. Los Angeles, CA (PRWEB) December 30, 2009 -- Motorists must remember that operating a motor vehicle is a privilege; along with this privilege comes the responsibility of abiding by the insurance laws of the state. Unfortunately, at any given moment there is a great deal of individuals who make the unwise decision to drive without proper coverage in place. OnlineAutoInsurance.com is advising motorists to protect themselves from these drivers which may help lessen the blow financially after being involved in a collision with one who is not insured. According to the Insurance Information Institute, it is believed that one in every seven driver in the U.S. does not carry a policy which can negatively impact the remaining drivers who do. Although many consumers look to purchase cheap auto insurance policies, there is a very cost effective addition to coverage that can be well worthwhile to protect from drivers who are not insured. Unfortunately, there are motorists who take the risk of driving uninsured and even less fortunate are the individuals who are involved in collisions with these drivers. Uninsured and Underinsured Motorist coverage is a very beneficial type of coverage that can be found at a very affordable rate and may end up being worth the extra premium. Although Uninsured Motorist is required by law in 20 states, only 5 states require Underinsured Motorist coverage; the majority of states allow the purchase of this protection to be optional and unfortunately, many policyholders choose not to purchase it. These types of coverage will compensate policyholders in the event that they are struck by a motorist who does not have a policy, is underinsured or if victim of a hit-and-run. With the exception of No-Fault states which generally allow the insured to collect from their insurance company regardless of fault, motorists may have to follow court proceedings in order to obtain compensation from the other party; if in a No-Fault state, the insured can only collect up to the policy limits which may not cover the cost of the policyholder’s injuries or losses. A worse case scenario is being a victim of a hit-and-run where they other party is unidentifiable which would leave the victim unable to file a lawsuit and would have to absorb financial losses on their own. There are certain states that take the number of uninsured motorists into account and will try to ensure proper compensation for the victim. The state of Idaho may suspend the license of the uninsured driver for six years or until payment is settled for a traffic collision. Uninsured/Underinsured Motorist may be affordable and can be extremely beneficial. Motorists may visit http://www.onlineautoinsurance.com/cheap/ to obtain free quotes from various companies in order to determine whether or not this additional protection is within their budget. Chicago insurance provider, Joseph M. Wiedemann & Sons, reminds drivers to refrain from texting while driving, in accordance with Illinois text messaging ban. Chicago, IL (PRWEB) December 30, 2009 -- Leading provider of Chicago home owners insurance and auto insurance, Joseph M. Wiedemann & Sons reminds customers of new Illinois driving law that bans texting while driving. The new law will go into effect January 1st, 2010, for drivers of all ages throughout the state of Illinois. “We want to make sure our customers are safe from potential accidents caused by texting while driving, and that they avoid the hefty fines given for violating the new law. Texting while driving has become increasingly dangerous in recent years, as new phones with larger screens and full keyboards make it easier for people to send text messages while doing other tasks. To avoid the risk of accidents or fines, we encourage our customers to invest in hands-free mobile devices, which allows them to communicate while focusing on the road with both hands on the wheel,” says John Wiedemann, president of JMW & Sons. Practicing safe driving methods not only reduces the risk of potential accidents, but it can also help people save money on auto insurance. The Illinois text messaging ban is not limited to text messaging through a wireless phone. The law states that a driver cannot operate a vehicle on the road while using a phone, digital assistant or mobile computer to compose, read or send a text message, e-mail or instant message. Drivers should pull over to the shoulder and put the vehicle in park before sending a message. Exceptions include the use of electronic communication devices by law enforcement officers for on-duty purposes, as well the use of permanently installed and approved communication devices by commercial vehicle drivers. The law does not apply when the driver must communicate with emergency personnel to report an emergency situation, or if normal traffic is obstructed and the driver has the car stopped with the transmission in neutral or park. “Practicing safe driving methods not only reduces the risk of potential accidents, but it can also help people save money on auto insurance. A good driving record can keep insurance coverage rates down while helping drivers avoid injury and fines,” says Wiedemann. About JMW & Sons: As leading providers of business and home insurance in Chicago for more than 70 years, Joseph M. Wiedemann and Sons dedicates itself to providing top Chicago home insurance and business coverage that meets the exact budget and needs of clients. For more information about Joseph M. Wiedemann & Sons, visit http://www.jmwsons.com/. A Short sale is always better than a Foreclosure and unfortunately there is no other way that will benefit the homeowner who is in financial trouble.A foreclosure is bad for homeowners and their communities. Can a Short Sale help you avoid Foreclosure? Yes a Short Sale can avoid a Foreclosure. This is the purpose of it. Otherwise banks would not approve it. Is the loss on a Short Sale greater than Foreclosure? No, a Foreclosure Sale will always cost the homeowner, the lender and their communities thousands of dollars less . This is the purpose of it. Otherwise banks would not approve it. Is the loss on a Short Sale greater than Foreclosure? a Foreclosure Sale will always cost the homeowner, the lender and their communities thousands of dollars less. Example: If a homeowner owes $200,000.00 dollars to Bank A on their first mortgage, and $100,00.00 dollars to Bank B on their second mortgage and/or equity line of credit also known as a HELOC. The property’s fair market value is $175,000.00 dollars and is sold for this price. In most cases, Bank A forgives all of the remaining balance. Then Bank B forgives $90,000.00 dollars but asks homeowner to sign an unsecured promissory note for the outstanding balance of $10,000 dollars. This is a win win situation, because nine out of ten times the new note is at 0% interest which is much less than the original note of $100,000.00 dollars and there will be no Foreclosure judgment entered against the homeowner even if the homeowner never pays this new note on the property. The new note is unsecured and the property was sold without having to be foreclosed on. To make matters ever more clear; if the property is already sold and if there were a foreclosure filed it would have been filed by the first mortgage and not the second mortgage. In summary what is better, being sued by two mortgage companies for $300,000.00 dollars or an unsecured mortgage for $10,000.00 Dollars? Maybe the $10,000.00 dollar unsecured note is a better option if you were to default. Is the new unsecured note is a legal contract? This is what the most argue all the time, of course it's a legal contract, but so were the previous promissory notes. Which in most cases is a HELOC that most lenders had language in the note stating that the HELOC note could be with or without collateral, meaning that it could even survive Foreclosure and become a unsecured debt just like a credit card, which is what a HELOC essentially is, a credit card secured by a piece of property nothing but that. This is also another myth. Most do not realize that the taxes in a Short Sale are no different than in a Foreclosure. If the property is taken in a Foreclosure, the court Sale in most cases will usually sell for less than Fair Market Value. This makes the situation worse for the Borrower and for the Mortgage Company. Ultimately the whole neighborhood will suffer. In every Short Sale situation Albert Stimer has come across, and it is hundreds, He has never had an attorney advise any of his clients not to sign an unsecured promissory note for a fraction of the original note and risk a potential deficiency judgment after Foreclosure. As said above, it is a win win situation. Always interview the agent or broker before hiring them. Ask for written references and experience. By no means is a Short Sale an easy process. This is a one shot deal. There is not any room for mistakes. Unfortunately there are a lot of amateurs in this market trying to do Short Sales and are not successful at getting them approved. As mentioned, this is a one shot deal and if submitted to the lender incorrectly it could cost you the Short Sale of your property. There are a lot of good people going through very difficult financial times and unfortunately there are many amateurs taking advantage of these people. Don’t let that be you. 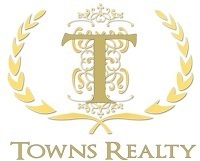 Albert Stimer is the managing Real Estate Broker with Towns Realty in Florida. Albert Stimer is not a lawyer or tax professional and cannot render such advices. Please retain such professionals if you have legal or tax questions. Mr. Stimer has done and overseen hundreds of Short Sale situations and transactions. He has a passion for helping homeowners in these difficult times. Mr. Stimer has been asked to teach and has taught numerous classes at local Realtors Associations Pro Bono just to help educate his fellow brokers and realtors. Online marketing and SEO company, Adviatech, announced that their law firm marketing services outperformed their other services in 2009. The search engine marketing firm has plans to build on that in 2010. Tampa, FL (PRWEB) December 30, 2009 -- As the markets stumbled to regain their footing in 2009, Tampa, Florida based online marketing and seo company Adviatech continued on their rapid growth trail, soon to close out their calendar year at close to 100% gross revenue increases and comparable net income growth. The value of personal support far outweighs the savings that come with offshore outsourcing. All joking aside, Adviatech realizes that their success is based on customer retention and their primary goal remains to improve their client’s search engine rankings and visitor conversion. As the only law firm marketing company that includes social networking, monthly content writing, and distribution services in their standard search engine optimization plans, even Adviatech’s management will admit that controlling overhead is key to ensuring their continual net-income increases. If clients are afraid that means outsourcing, they will be surprised to know that it actually means the opposite. Over the last two years, Adviatech has been able to reduce their outsourced staff by 50% and plans to continue hiring local personnel in Tampa, Florida, and around the United States. While some services like content distribution will remain outsourced, all other positions are handled locally and those local teams from writing, to design, to programming and social networking are going to continue to be added to with local employees. While Adviatech has several internal projects in development for 2010, SEOLawFirm.com’s expansion is the most expensive. They are not giving any details as of yet, but hinted that SEOLawFirm.com may become a network of other services and freely available marketing tools to help attorneys get new cases. While 2009 closes out Adviatech’s 5th calendar year, April 1st of 2010 will complete their 6th fiscal year. At the closing of their fiscal year, Adviatech will post their growth percentages at Adviatech.com. Learn more at http://www.seolawfirm.com or call 1.800.728.5306. The “Dominate Your Job Search” blog from resume writing firm AlphaDogResumes.com is providing job seekers with realistic, honest resume, cover letter and job search advice in response to widespread unemployment and deceptive online resume service practices. The resume writing web site offers resumes and cover letters personalized for each client. New York, NY (PRWEB) December 30, 2009 -- The “Dominate Your Job Search” blog from resume writing firm AlphaDogResumes.com is providing job seekers with realistic, honest resume, cover letter and job search advice. The blog is in response to both the tens of millions of unemployed Americans seeking resume and cover letter advice and the deceptive practices of some online resume services, according to Michael S. Speas, President of AlphaDog Resumes, Inc.
“More than 20 million Americans are looking for a job this morning, and the last thing they need is bad advice, false guarantees and disastrous delays from resume writing firms,” says Speas. Speas writes the “Dominate Your Job Search” blog with the goal of providing real-world and truthful advice that can help job seekers write resumes and win interviews in a world of online job searches where 97% of resumes and cover letters are rejected. Most of the time, a job seeker gets no response at all to their resume or cover letter. Speas points out that much of the “how to” resume advice found on the web is, in the best case, of little use and, in the worst case, deceptive. “We get calls from job seekers wondering how online resume services can offer “guarantees” of job offers or interviews. We tell the job seekers to read the fine print of those online resume writing services, “ says Speas. He advises that such unrealistic promises can cost the job seeker money and, more importantly, time that would have been better spent on a realistic, efficient job search using a personalized resume and cover developed with one-on-one consultation with a reputable resume writing expert. “The last thing a job seeker needs right now is extended delays in finding a job,” cautions Speas. He argues that job seekers should carefully evaluate each resume writing firm they consider hiring in their job searches. “Call the resume writing firm and speak to a real person. Also, read the resume service web sites very carefully,” he suggests. Speas and AlphaDog Resumes offer a simple 100% satisfaction guarantee: if the job seeker is not satisfied with their resume package for any reason, the firm will re-write that package for free. “No one can assure someone that they will get a job or a real interview in this economy,” says Speas. “A good resume service should offer practical advice and the best resume possible, not false promises,” Speas points out. For example, many of the resume service “guarantees” have a disclaimer saying that any email response to a resume posted online constitutes an “interview.” Spam emails are counted as an interview by such firms, thus negating the guarantee. AlphaDogResumes.com customizes and individualizes three different types of packages of resumes, cover letters and references lists, together with an a la carte menu of additional services and products (such as resume review and custom documents such as lists of references, cover letters, etc.) to fit a variety of budgets and for any industry and experience level. AlphaDog Resumes also customizes job applications for job seekers when they find their “perfect job” openings and provides review and negotiation assistance for legal job offer letters and employment contracts. Speas is a member of the National Resume Writers Association (NRWA) and the Professional Association of Resume Writers and Career Coaches (PARW/CC), the premier certification associations for the resume writing and career coaching professions. The web site is currently offering $25 to anyone who refers a resume package client to the firm. AlphaDog Resumes, Inc. offers one-on-one resume writing services. Michael S. Speas, President of the company, is a member of the National Resume Writers Association and the Professional Association of Resume Writers and Career Coaches. The company operates principally through a website, AlphaDogResumes.com; and its corporate tagline is “Dominate your job search®.” Visit the website for a free resume assessment, together with a free job search newsletter. Houston based Freedom Air Charters (www.freedomaircharter.com) announces new air service for busniesses whose busy leaders need to be there and back in a single day. "Perhaps now more than ever, businesses need to get out and meet customers face to face in order to grow and prosper"
Houston, TX (PRWEB) December 30, 2009 -- People can spend up to 60 minutes or more passing through TSA security checkpoints while departing on a typical morning flight from William P. Hobby Airport in Houston, according to U.S. Customs and Border Protection. For executives and business leaders on a ever tighter schedule that can be a real problem, said Freedom Air Charters CEO, Chris Castillo, 35, of Houston. Castillo launched the air charter service earlier this year called Freedom Air Charters. The company Headquarters is based at Ellington Airport (EFD) in Houston with satellite offices throughout Texas in Dallas, McAllen, Victoria, San Antonio, and Corpus Christi as well as Iowa. Our goal, Castillo said, is to give business executives the freedom of choice when it comes to where and when they'll fly. "Because we are flying smaller aircraft - a Beechcraft Baron 58 - We can fly into airports and runways the bigger jets can't reach," Castillo said. "It gives people a choice of which airport they'll fly into, which can save them even more time and money." Castillo also illustrated the economic factors "our aircraft cost one third the price of a small corporate jet but over a distance from say Houston to McAllen there might be only 15 minutes difference." According to Castillo, there are many smaller airports in the state of Texas - records show there are more than 20 airports in the Houston area including the three large airports - executives and business leaders can choose the one that's closest to their final place of business. While air charters are nothing new, and Castillo concedes there are dozens of jets available for charter out of Hobby Airport alone, he said he's created a new market by flying smaller less expensive aircraft. His aircraft seats 5 passengers, and can cruise up to 245 mph with costs running $495 per hour of flight time for the entire plane. Castillo's company focuses on destinations that are within three-and-a-half hours of flight time from Houston. "A lot of businesses have downsized to the point they've either gotten rid of a corporate jet, or they've downsized their fleet," Castillo said. "But they still have offices in different parts of the state and they still need to be at meetings there, sometimes at the last minute. We're really designed for business travelers who don't have time to waste at large airports." Castillo purchased RNC Air Services LLC, a wholly-owned subsidary of Freedom Air Charters, in October. Launched with funds raised from private investors, the company began targeting local companies for clients and now books between two and three flights each week. According to Castillo, the biggest expense is fuel for the aircraft, which will cost him $10,000 a month. According to Freedom Air Charters Global Communications and Public Affairs Officer, Lea Bentley, one of the challenges facing air charter services is how to maximize use of the plane. "It's a tough business model to make work unless you have a strong solid plan," Bentley said. "In a perfect world, you would fly someone to a city, then have someone in that city ready to fly back - for the main reason that you don't want to fly an empty ‘leg' home." That's one of the reasons we're targeting business travelers who need to go somewhere and come back the same day," Castillo said. "A lot of people don't realize if you have a meeting away that only lasts one or two hours, you don't need to stay overnight and spend time away from your office, or away from your family." "The Baron presents another safe and reliable option for the traveling public. It is well suited to fulfill the small twin engine niche,” noted Earl Phillips - Freedom Air Charters Quality Assurance Officer. Lawsuit claims that Louisiana-based Crescent Bank & Trust imposes greater fees, penalties, and interest upon its customers in conjunction with their automobile loans than is authorized by the loan agreements. Atlanta, Ga. (PRWEB) December 30, 2009 -- Atlanta-based law firm Webb, Klase & Lemond, LLC has filed a class action lawsuit against Crescent Bank & Trust ("Crescent") alleging bad faith imposition of unauthorized interest, fees, and penalties on Crescent's automobile loan customers. Crescent has developed relationships with numerous new and used car dealerships across the country whereby Crescent purchases vehicle loans directly from the dealerships. Crescent has focused its auto loan business on sub-prime customers who are often not able to obtain financing through traditional channels. The lawsuit alleges that Crescent routinely ignores the actual terms of its customer loan agreements - which are purchased from dozens of different car dealerships across several states - and instead imposes a one-size-fits-all billing and payment system. The suit contends that this practice results in customers paying higher fees, interest, and penalties than authorized by their loan agreements. The Plaintiff has brought class action claims for breach of contract, conversion, trespass to personalty, and money had and received. The Plaintiff has also asserted an individual claim for violations of the Georgia Fair Business Practices Act. Based on these claims, the Plaintiff alleges that Crescent is liable for all damages that have resulted from the imposition of improper fees, interest, and penalties on car and truck loan customers. The case, styled Joseph v. Crescent Bank & Trust, is pending in the Superior Court of Fulton County, Georgia and has been assigned case number 2009-CV-179274. Crescent has not yet answered the case and the discovery process has not yet begun. After a suitable period of discovery, Plaintiff intends to move for certification of the case as a class action on behalf of all similarly situated Crescent customers. If you wish to discuss this action or have any questions concerning this press release, please contact Matthew C. Klase, Esq. by e-mail at Contact(at)WebbLLC(dot)com or by calling (770) 444-9325. Webb, Klase & Lemond, LLC is a law firm that practices complex litigation with a focus on litigation arising from wrongful deprivations by corporate and government entities. The firm has handled numerous consumer class actions. For further information about Webb, Klase & Lemond please visit the firm's website at www.WebbLLC.com. Health Consultant/Accountant Publishes Book on "Health Care Practice Valuations"
Internet giant Google loses domain name trademark arbitration. Small and ‘groovy’ Canadian start-up claims victory. We were stunned when Google launched the domain name dispute as we have great respect for Google and have always had a good relationship with them. Toronto, Canada (PRWEB) December 30, 2009 -- Internet giant Google has lost an arbitration over the domain name, Groovle.com. In a decision released today, The National Arbitration Forum, dismissed Google’s complaint (Claim Number: FA0911001293500) that it was entitled to the domain name, Groovle.com. Google had claimed that the domain name Groovle.com, is “confusingly similar” to its trademark for “Google”. The National Arbitration Forum is an international arbitration service accredited by ICANN, the international agency that oversees the Internet, to provide resolution services for domain name disputes around the world. The unanimous three person panel composed of two retired American judges and one American law professor, ruled that Groovle.com “is not confusingly similar” to Google’s trademark, “Google”. To-date, Google has commenced 65 domain name disputes and this is only the second time that it has ever lost. 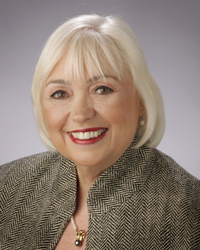 San Francisco Bay Area native and business owner, Linda Fodrini-Johnson, MA, MFT, CMC, has been elected the 2010 President of the National Association of Professional Geriatric Care Managers, the premier geriatric care management organization in the country. Fodrini-Johnson will be serving during a critical point for the senior care industry as the Baby Boomers begin to retire. San Francisco, Calif. (PRWEB) December 30, 2009 -- Local business pioneer, Linda Fodrini-Johnson, MA, MFT, CMC, has been elected to the Presidency of the National Association of Professional Geriatric Care Managers for 2010. The National Association of Professional Geriatric Care Managers, or NAPGCM, is a volunteer nonprofit association comprised of geriatric professionals across the country that strive to create and uphold best practices in standards and quality of care. Linda Fodrini-Johnson, MA, MFT, CMC, Founder and Executive Director of Eldercare Services has been elected President of the NAPGCM. With the predicted “Silver Tsunami” fast approaching from the expected influx of seniors and retirees as the large Baby Boomer generation reaches their later years, the senior care industry is poised to become rather vital and instrumental in many American’s lives. As the President of the nation’s leading Care Management organization, Linda Fodrini-Johnson will play a paramount role in influencing what many of our futures will look like in terms of care. Setting the current standard in geriatric care, Linda began blazing the trail by combining Care Management and Caregiving in her own practice at Eldercare Services’ first office in Walnut Creek in 1989. Eldercare Services now has four offices covering the San Francisco Bay Area, a website and blog boasting over 80 pages of information and a staff of more than 20 Professional Geriatric Care Managers each averaging 18 years of experience serving seniors. Prior to founding Eldercare Services, Fodrini-Johnson helped lay the platform for Contra Costa County’s senior based programs. Fodrini-Johnson advocates for elders with the goal of providing the best quality of life possible for each person and their situation. Care Management goes a long way in making this attainable. Recently, Care Management was an almost unheard of term that is now quickly spreading as the potential results are discovered by the greater population. Linda explains, “A Care Manager is an individual, typically with a professional background in Nursing, Social Work, Counseling or Physical Therapy, who can monitor all aspects of a clients life to ensure that the individual has all needs and wishes met to the extent of the Care Manager’s ability ultimately providing the best quality of life possible to the client.” Frequently a Care Manager will interface with medical professionals, create care plans, respond in emergencies and oversee Caregivers or Personal Assistants lending an additional line of support and expertise. Due to the relative newness of the profession, Linda has been a part of defining the role of and requirements for Care Managers. The NAPGCM has recently called all members performing in the Care Management capacity to become certified, requiring experience and demonstrated ability through testing in order to help solidify standards for the emerging field as the need grows. Linda Fodrini-Johnson looks forward to the opportunity to shape the future of geriatric care and advocate for the senior population through her roles both at the NAPGCM and Eldercare Services. GilsbarPRO, one of CNA’s largest administrators of their Lawyers Professional Liability Insurance Program, announces that it is now offering coverage to attorneys practicing in the State of North Carolina. Covington, LA (PRWEB) December 30, 2009 -- GilsbarPRO, the exclusive administrator for the CNA Lawyers Professional Liability Program in Alabama, Florida, Georgia, Louisiana, Mississippi, Missouri, and Texas, proudly announces the addition of North Carolina to its markets. Attorneys in North Carolina can now begin requesting professional liability quotes and securing policies from GilsbarPRO. GilsbarPRO.com contains all of the information attorneys need to complete the online application process and receive a return quote within 6 business hours. The site also contains resources such as news articles, frequently asked questions, and online risk management information from Gilsbar’s in-house expert legal staff of loss prevention specialists. The CNA Lawyers Professional Liability policy offers comprehensive coverage including prior acts and a consent to settle requirement. Attorneys who purchase professional liability insurance from GilsbarPRO will also have access to resources including statutes of limitation quick reference cards, document retention guides, and a 24/7 risk management hotline. Continuing legal education seminars are also offered through GilsbarPRO and provide up to a 7.5% premium discount on your CNA premium for three years. Gilsbar is renowned as a leader in providing quality insurance services and unsurpassed customer service to legal professionals for 50 years. Our first client, the Louisiana State Bar Association, remains our partner today. Gilsbar is proud to partner with CNA as their exclusive administrator for professional liability in the states of Alabama, Florida, Georgia, Louisiana, Mississippi, Missouri, North Carolina, and Texas. As one of CNA’s largest administrators, Gilsbar provides lawyer’s professional liability policies to over 20,000 attorneys across the nation. Visit www.gilsbarpro.com or call (800) 906-9654 to find out how GilsbarPRO can transform your legal practice. Schiller DuCanto & Fleck, LLP, the number one ranked family law firm in the nation, has also been ranked first in the nation in a tie vote for Collaborative Law. The Best Lawyers in America® ranking is based on an exhaustive annual peer-review survey compiled by Woodward/White, Inc., a professional research company. For the 2010 U.S. edition, more than 24,126 attorneys cast more than 2.8 million votes on the legal abilities of other lawyers in the same and related fields of practice. We are fortunate to have two of the nation’s most talented and trained attorney’s in collaborative and family law. For clients going through divorce, especially business owners and clients with high assets, keeping personal and financial matters private is an important value. Maintaining Dignity in the Face of Divorce. (PRWEB) December 30, 2009 -- As the use of collaborative law gains in popularity among spouses seeking to maintain dignity in the face of divorce, Schiller DuCanto & Fleck has emerged as a leader in the field. The Best Lawyers in America® 2010 edition has listed the nationally recognized leading family law firm as “tie” for the top spot in collaborative law. It also names James R. Galvin, Partner and Carlton R. Marcyan, Partner, Executive Committee Chairman as Best Lawyers in the practice of collaborative and family Law. “No single approach to the divorce process is right for everyone, “ notes James R. Galvin, who has practiced matrimonial law for more than 30 years and in the last several years has developed expertise in collaborative divorce, having successfully collaborated many high conflict, large asset cases. “Many couples today are asking whether serious martial conflict can be resolved without the time, expense and conflict of litigation. The answer for many clients is yes-divorce need not be a battleground. However, Collaborative Law is not for everyone”, he adds. The number of people turning to the option of a collaborative divorce is on the rise as people become more aware of the process and its benefits. For an overview, Schiller, DuCanto & Fleck has prepared a downloadable brochure “Maintaining Dignity in the Face of Divorce.” The firm also offers an email newsletter that provides valuable information on all aspects of family law. Subscribe today. The Best Lawyers in America® is the most respected list of attorneys in practice. The ranking is based on an exhaustive annual peer-review survey compiled by Woodward/White, Inc., a professional research company. For the 2010 U.S. Edition, more than 24,000 attorneys cast more than 2.8 million votes on the legal abilities of other lawyers in the same and related field of practice. Schiller DuCanto & Fleck LLP works with clients using a team approach to achieve the best possible results for those going through divorce and family transitions. The firm is the largest family law practice in the U.S and provides the most comprehensive legal resources available in this sensitive yet complex area of practice. Best Lawyers in America ranked the firm as the number one family law firm in the nation. Schiller DuCanto & Fleck LLP has offices in Chicago, Lake Forest and Wheaton, Illinois.